is the song-writing project of Chicago DIY veteran Ryan Hoagie Wesley Ensley. Disarmingly personal in his presentation, Consequence of Sound once described Sonny Falls as “the sound of a songwriter struggling to assert his own agency in a world that refuses to do him any favors.” Hoagie’s writing gives voice to a depleted notion of modern Americana saturated by fortune-less upbringing, tragic devotion, and the untold losses of the opioid epidemic. These themes recur honestly and without pretension in his writing; erected as dark windows into the soul of songs that nonetheless break glass to let the sunshine in. Dire narratives are beset by a survival instinct of unrelenting optimism, and are delivered with a graceful balance of honest guitar rock and soulful self-expression. The result is that special kind of timeless indie rock. 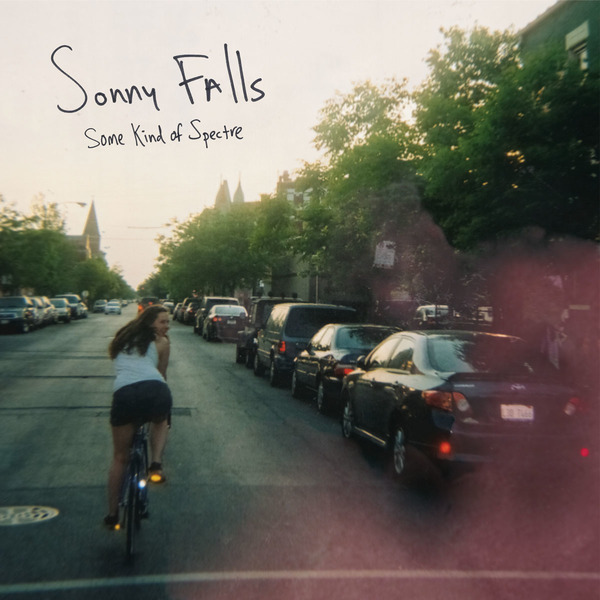 Bands like Built to Spill and Neutral Milk Hotel are strong points of reference not only because of the familiar sonic territory but because, like those bands, Sonny Falls is a project that listeners might fall in love with forever. On 2018’s "Some Kind of Spectre," themes of codependence and addiction underwrite melancholic sing-alongs extruded through a foundation of blistering guitar rock. The rhythm section of drummer Calvin Schaller and bassist Jeff Perlman joyride with the signature lead guitar of Anthony Santoro to rocket the songs light years beyond the domain of singer-songwriter tropes. Notable horn and string arrangements feature prominently in the album and shine as a definitive symphonic element. The result is an epic of honesty, presenting as the masterwork of a talent screaming to be heard. Bleak but optimistic, Some Kind of Spectre is an ambitious work of pop-rock brilliance that urges the recognition of Sonny Falls as an authentic and substantive voice in the landscape of American rock music.